Captain Jack Sparrow is back for one heck of a swashbuckling adventure in the latest Pirates of the Caribbean sequel, “Pirates of the Caribbean: On Stranger Tides,” which picks up where “At World’s End” left off — more or less. When last we saw Jack (Johnny Depp), he was in a dinghy headed for The Fountain of Youth. However, in “On Stranger Tides,” Captain Jack is not the only one after the infamous fountain. Blackbeard (Ian McShane) and his daughter Angelica (Penelope Cruz) want it too and so do several others. Truth be told, my expectations were set low for this installment. “Pirates of the Caribbean: At World’s End” had too many plot lines which were never truly resolved. It was superfluous. Even Johnny Depp couldn’t save the sinking ship. So, with that in mind, I went in thinking “On Stranger Tides” would be more of the same. Well, I am very happy to report I was wrong. Now, was the movie perfect? No. But the joy I had experiencing this latest adventure far outweighs any issues I had. Let’s start off with the annoyances or cons. For me, the beginning was disjointed. Too much was going on. However, there may have been no way around it since new characters needed to be introduced in a limited amount of time. Next, I thought the zombie pirates were unnecessary and, truthfully, they weren’t really zombies — at least not in the traditional sense. Although different, they failed to bring anything new or interesting to the zombie mythos. And finally, I wanted more time with Sparrow and Barbossa (Geoffrey Rush) and less with Angelica (Penelope Cruz). Now onto the positives — of which there are many. First and foremost, Johnny Depp has got to be the most charismatic actor in the world. He just has that spark. 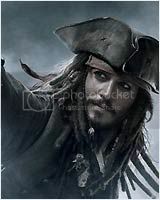 The camera loves him and at the risk of stating the obvious, without Depp, there wouldn’t be a “Pirates” franchise. How was he in “On Stranger Tides”? Magnificent. In case anyone had forgotten how dashing Depp is as the captain of The Black Pearl, within minutes we are reminded during an intimate scene which takes place in a coach between Sparrow and an Academy Award-nominated actress. From then on out, the captain continues to be in true form. Another plus, of course, is Geoffrey Rush as Hector Barbossa, who is now a naval officer with a peg leg. The missing appendage only makes him all the more cunning and devious and Rush plays him that way to the utmost perfection. Other than Barbossa, the only other returning pirate from the series is Gibbs (Kevin McNally), who puts in a great performance as Jack’s good friend. 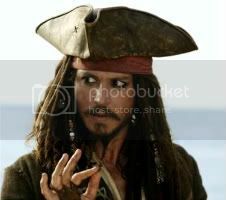 However, I did miss the other pirates, namely Marty (Martin Klebba), Pintel (Lee Arenberg) and Ragetti (Mackenzie Crook). As for the exclusion of Will Turner (Orlanda Bloom) and Elizabeth Swann (Keira Knightly), although popular characters, I don’t think their absence hurt the film. However, should there be a fifth and sixth movie in the series, a cameo from either would be most welcomed. Newbies to the fold of course are Ian McShane and Penelope Cruz. As the legendary Blackbeard, McShane was menacing. With his leathery looks and gravely voice, it was as if McShane was born to play a pirate. As Angelica — Blackbeard’s daughter and one of Jack’s past flings — Penelope Cruz was endearing. Honestly, I was concerned about this addition. I truly thought Cruz would weigh the movie down, as love interests often do, but thankfully she didn’t. Just like in the film “Blow,” where Depp and Cruz played lovers, the chemistry between them was evident. The remaining supporting cast also was also excellent. Gemma Ward comes to mind first as the unsettling mermaid, Tamara. Ward was haunting. Incidentally, that entire sequence is worth viewing in 3D. It was well animated and the score that framed it fit the eeriness perfectly. But not all mermaids are vicious. Syrena (Astrid Berges-Frisbey) was different. I won’t go into further detail, but I will say the young Spanish actress who played her should definitely land more work after this role. As for Sam Clafin, he was a convincing naive clergyman that fit the young heartthrob bill and Stephen Graham, who I’ve liked more in other things, made an entertaining sidekick named Scrum. “Pirates of the Caribbean: On Stranger Tides” clocks in at 141 minutes but it certainly doesn’t feel long. The pacing was perfect and the story engrossing. For someone who hadn’t directed a “Pirate” film before much less an action film, Rob Marshall did a fine job. And here I was concerned “On Stranger Tides” would turn into another “Pirates of Penzance.” Thank goodness it didn’t. I do wonder, however, if that’s because the movie was loosely based off the novel of the same name written by Tim Powers. Or was it Terry Rossio and Ted Elliot’s contribution that made the storyline so solid. I suppose I’ll have to read the novel to find out. Either way, I had a fantastic time and the two hour and twenty-one minute escape was well worth it. Final notes: Fans of the attraction will get a kick out of one scene that mirrors a room from the ride. And make sure to sit through the credits. Like the second and third installments, there is an amusing scene right after them. “Pirates of the Caribbean: On Stranger Tides” opens May 20. I just wanted to ask you a question about the movie. It’s simple and quick question. How was the CGI in the movie? Was it ‘Pirates’ quality. I ask mainly about the mermaids. Does the CG look good? ILM did the visual effects and they were very well done. The mermaid scene was simply amazing. They looked real. Loved their fins. So, yes the CG looks great. Thanks so much for the answer. Can’t wait to see them myself. Are there only one mermaid scene? See the film on the 20th Vortep! You won’t be disappointed. Again, thank you so mutch.